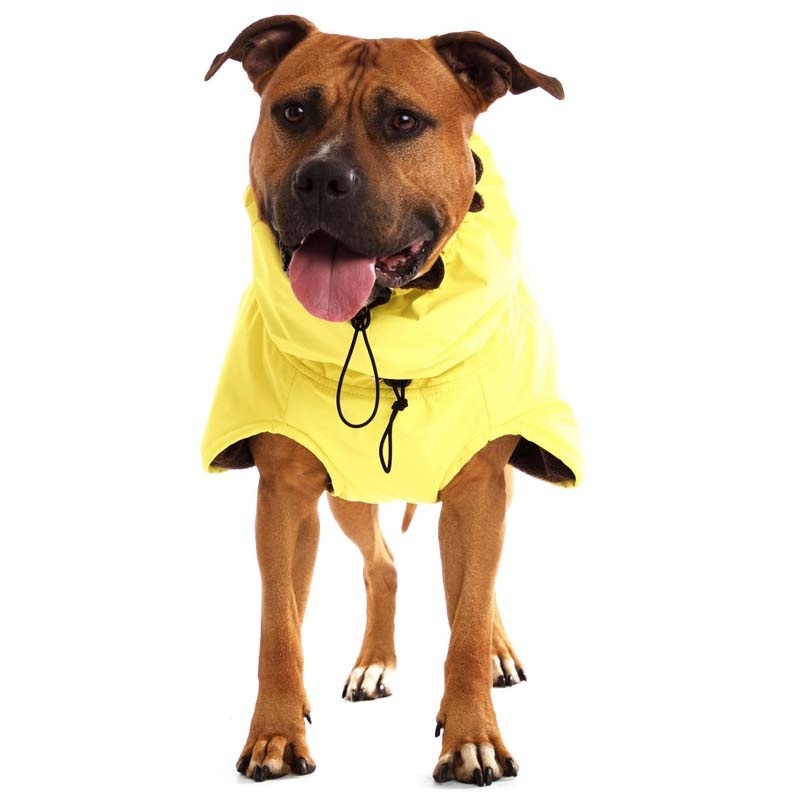 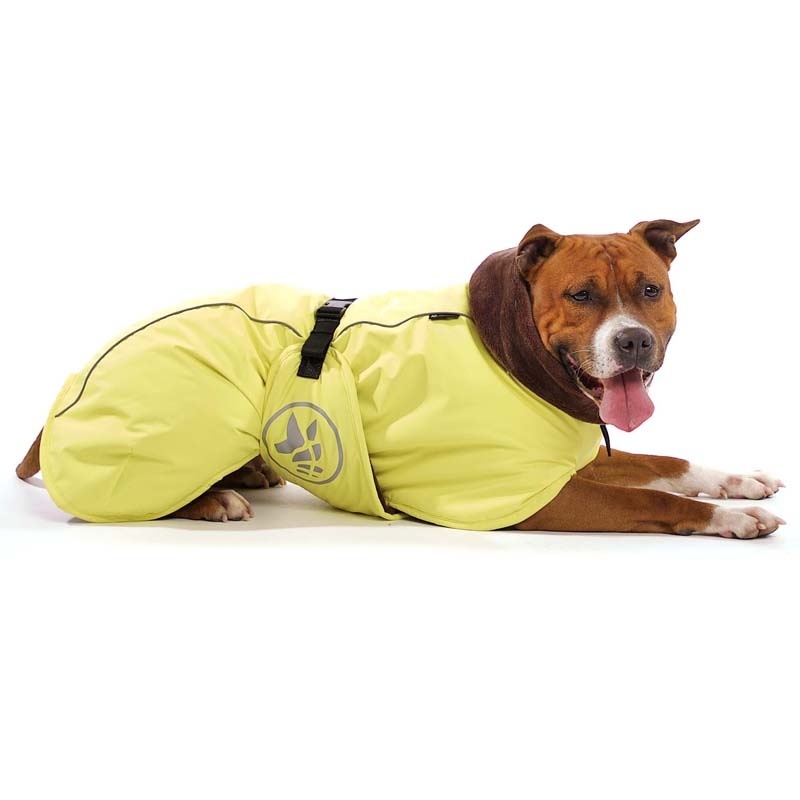 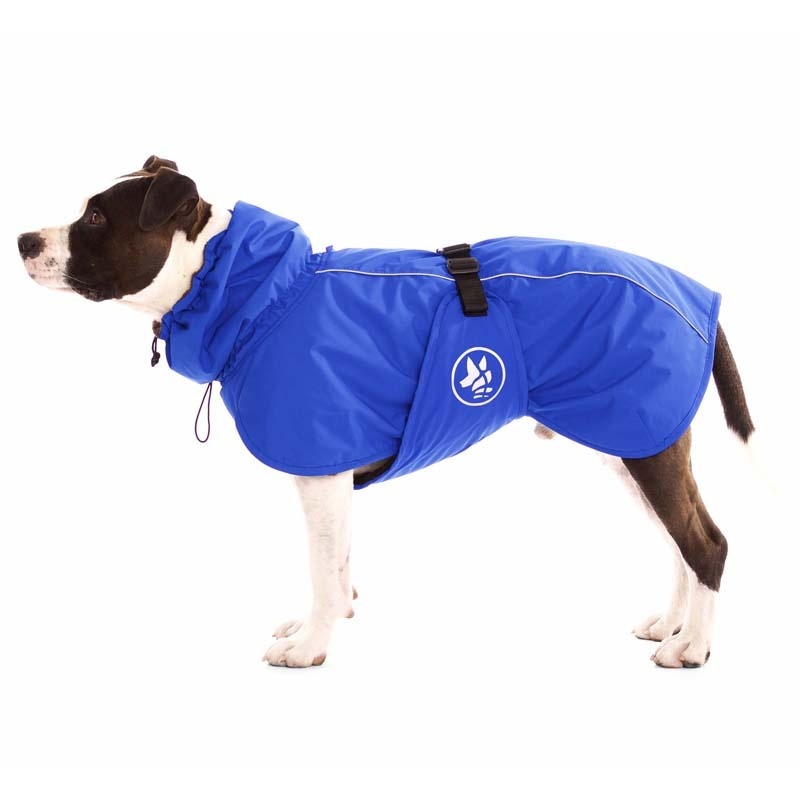 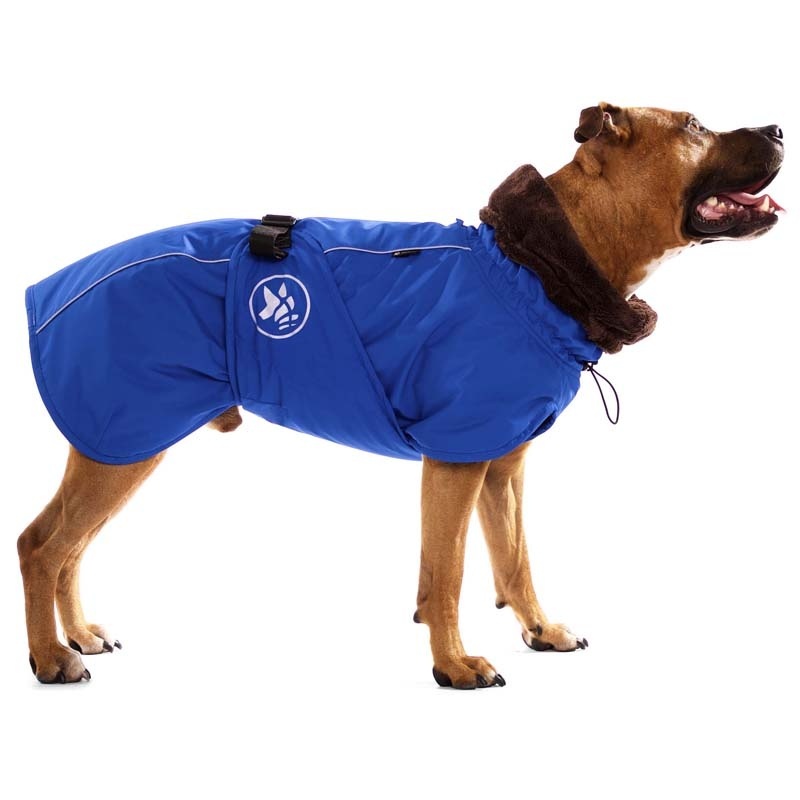 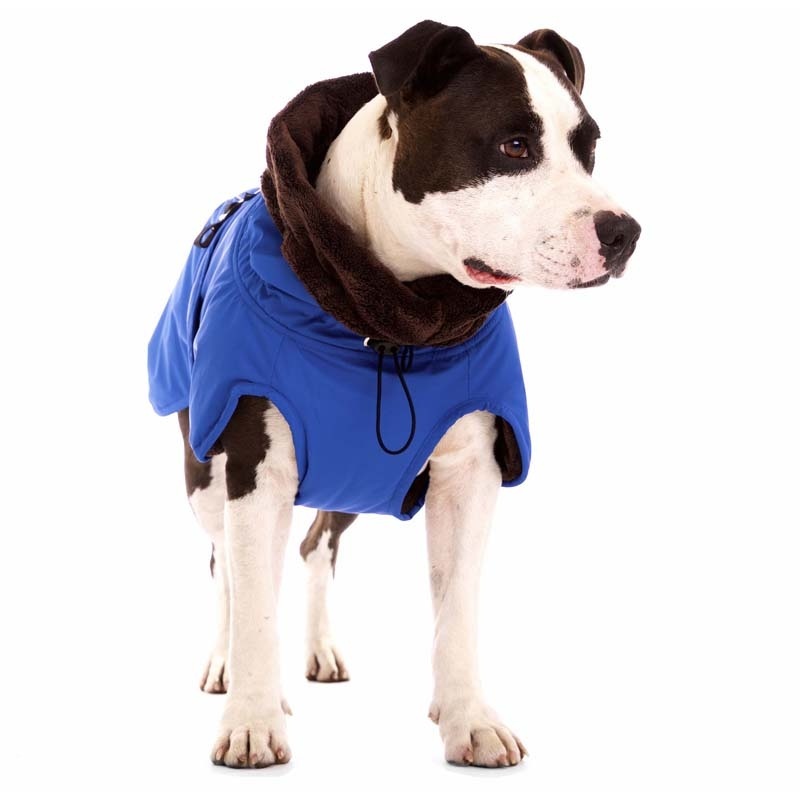 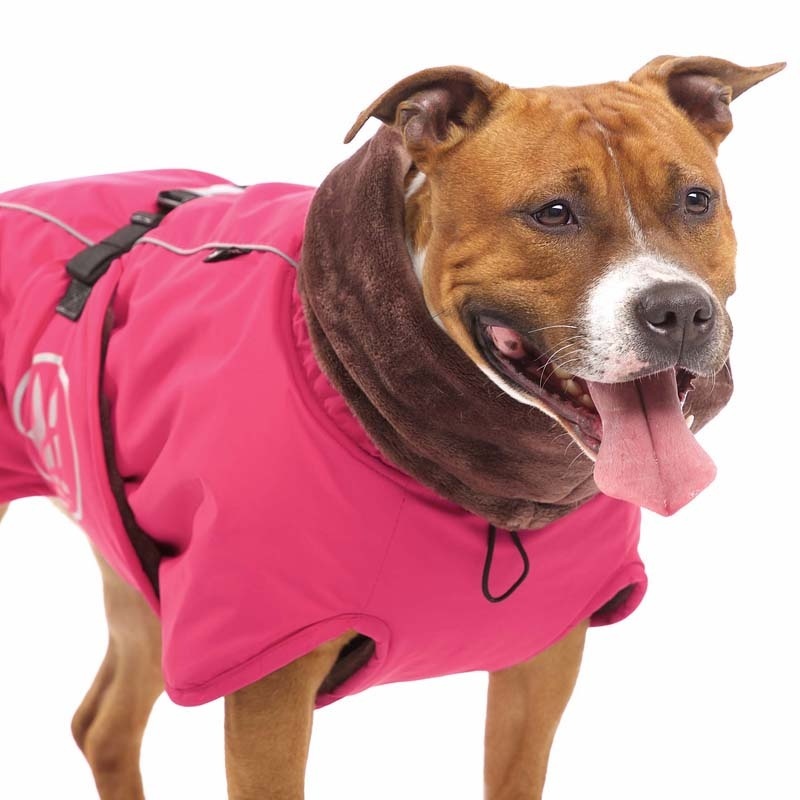 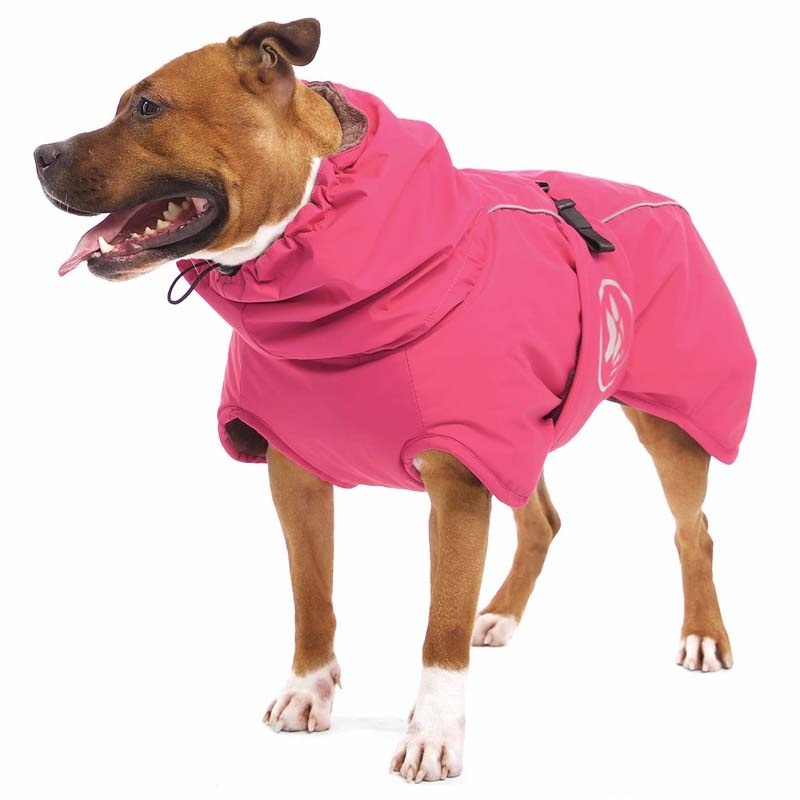 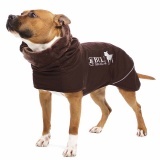 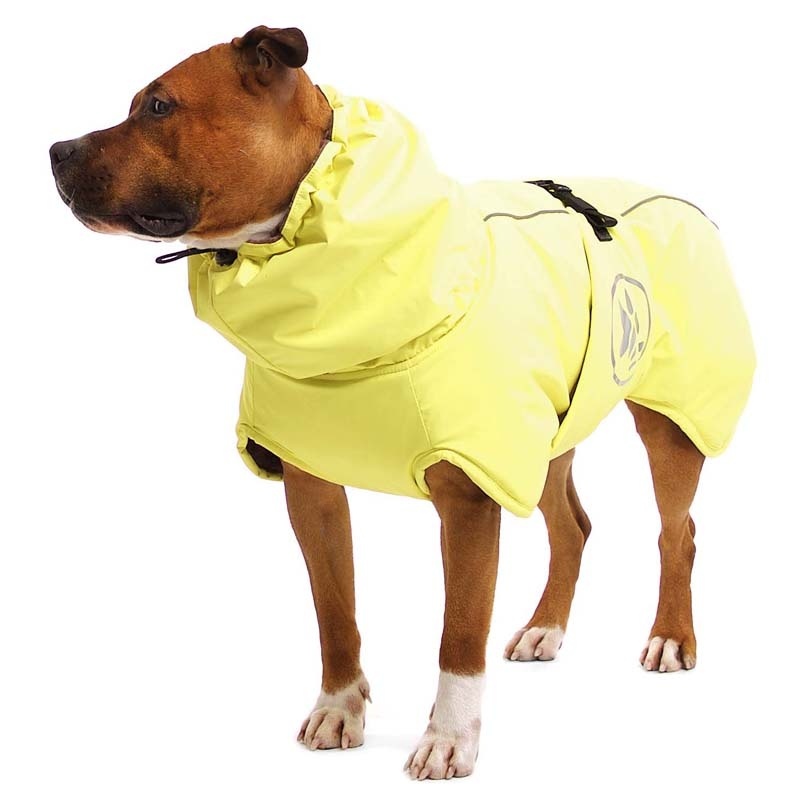 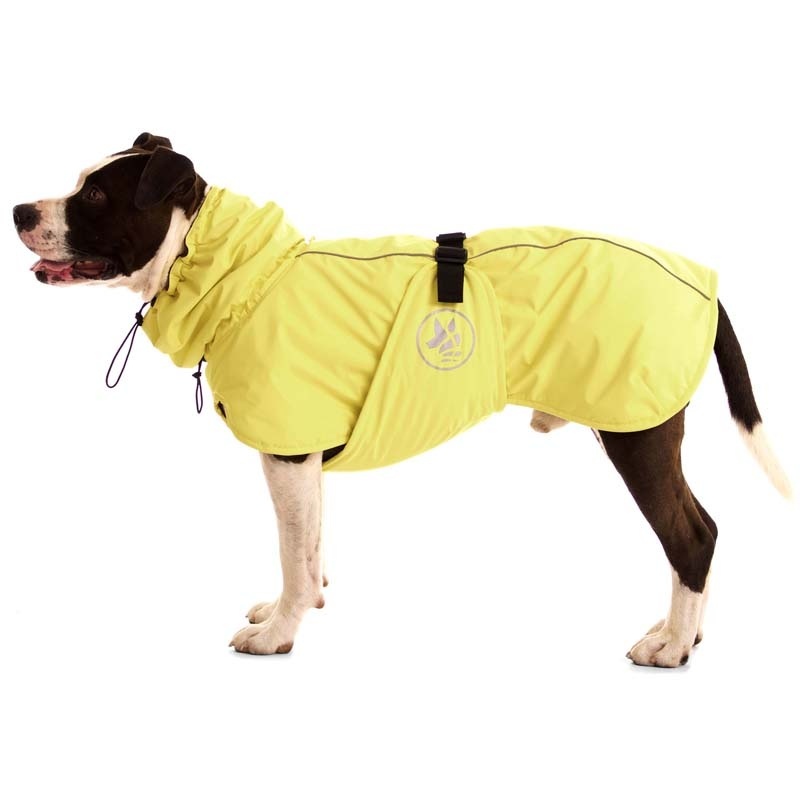 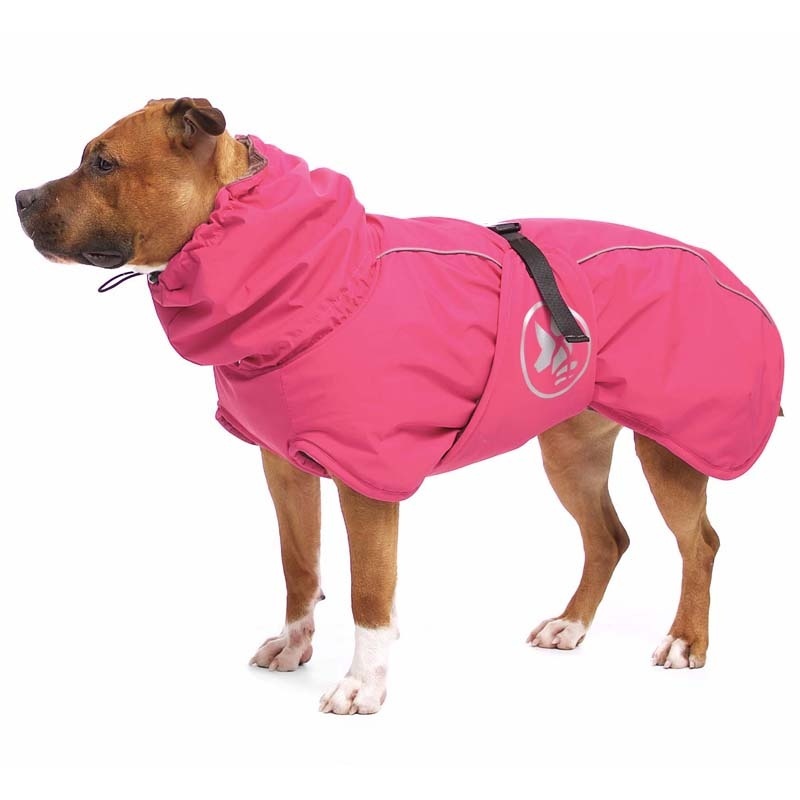 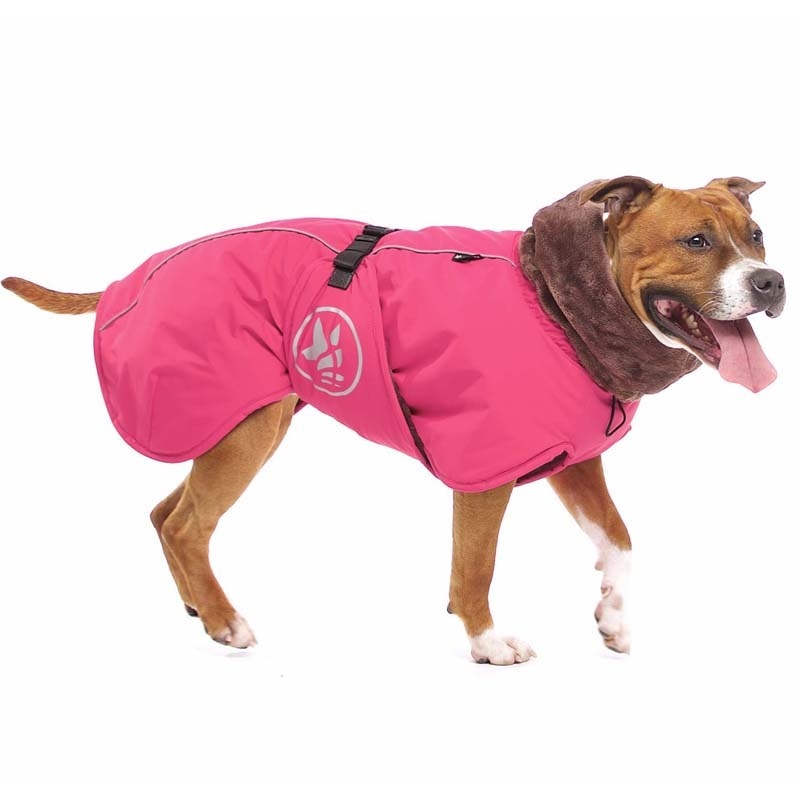 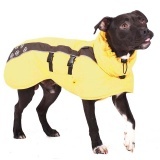 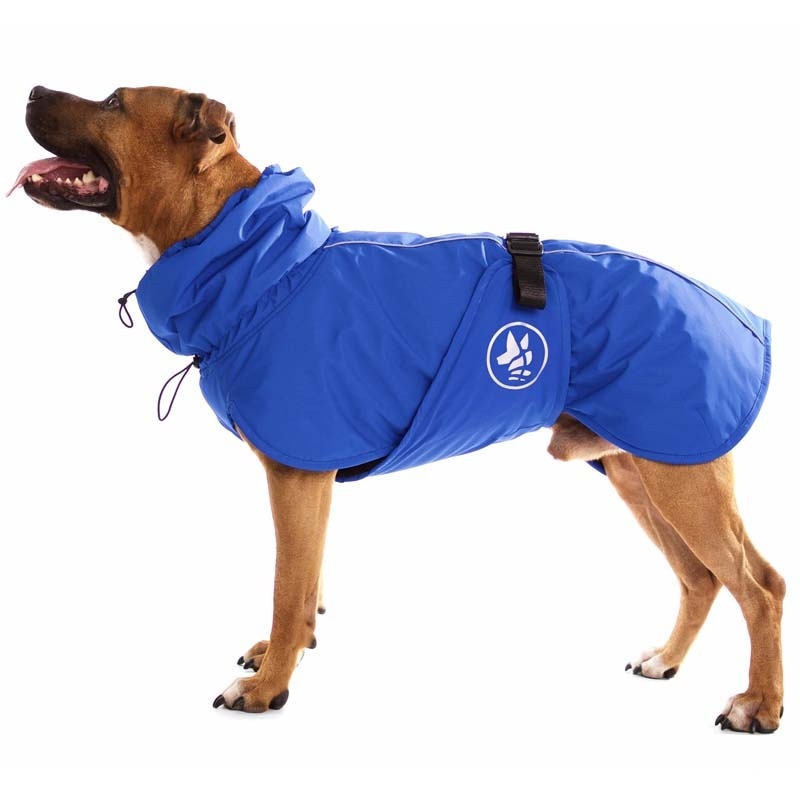 Warm softshell sports jacket for bull-type breeds: AST, APBT, ABT, SBT and others. 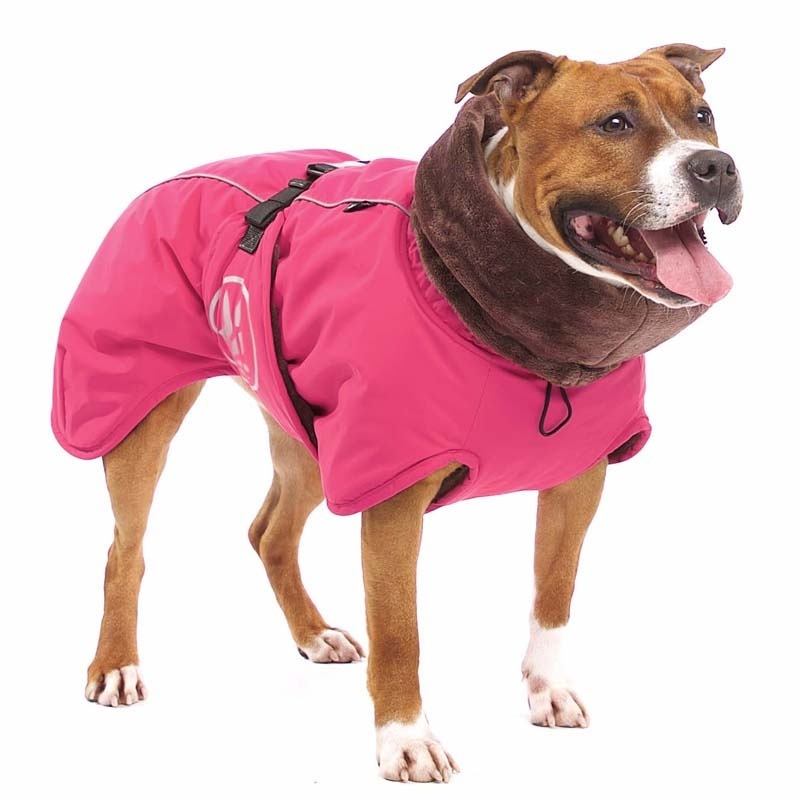 Covers the dog's neck and belly really well. 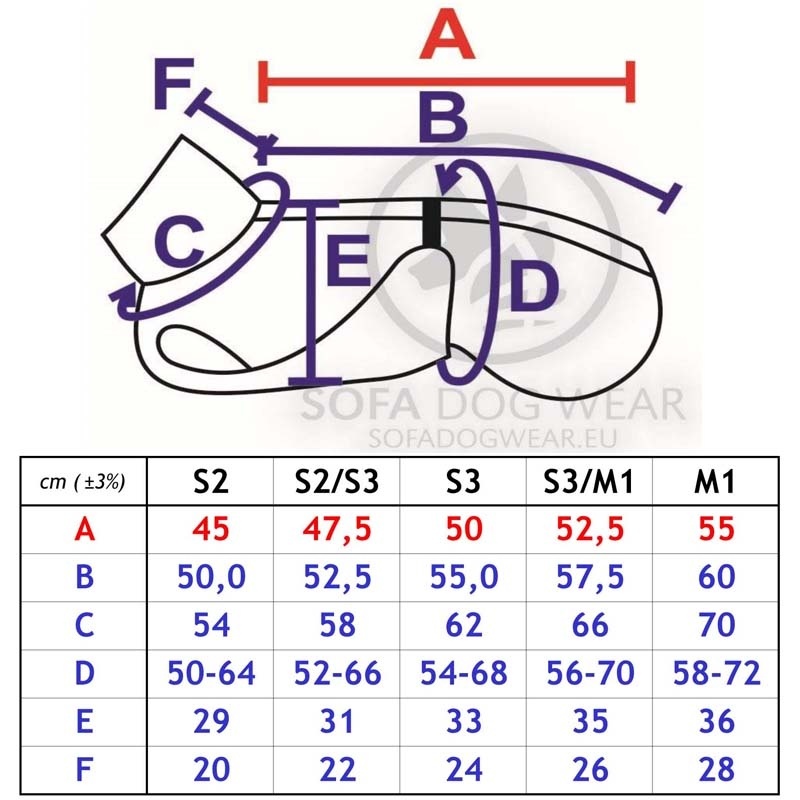 Closure around the waist with plastic buckle. 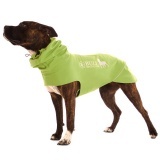 Long hood-like ruff can be adjusted with stretch band. 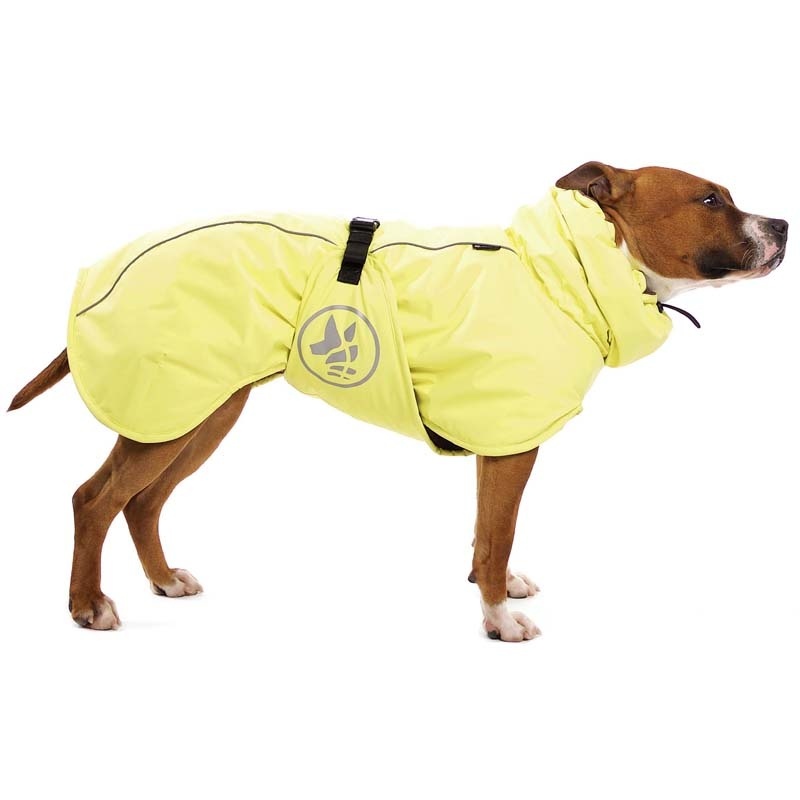 A reflective stripe along the coat, reflective printing. 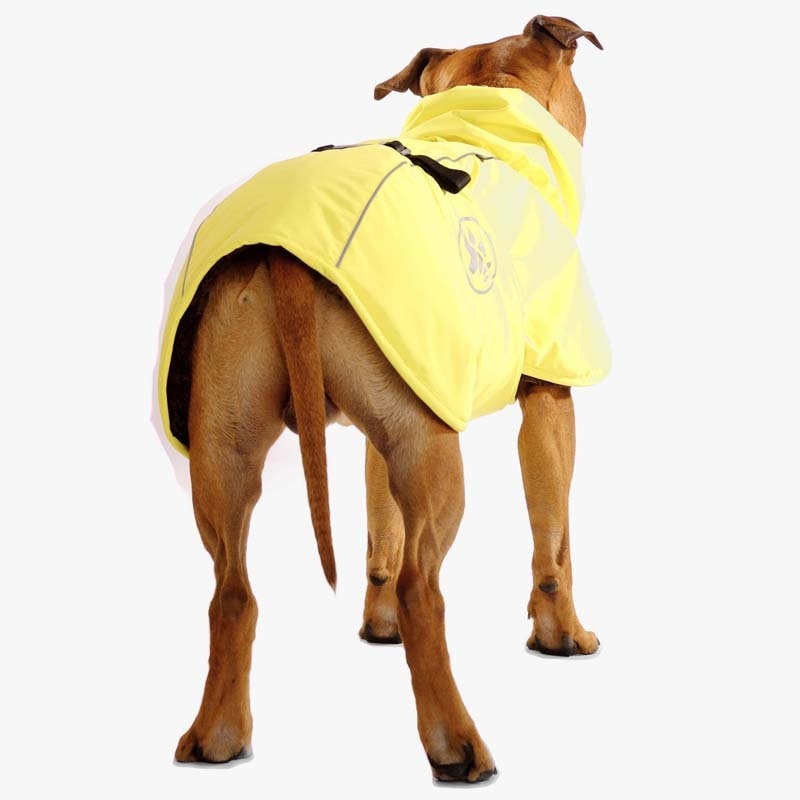 Upper material - softshell with water resistance equivalent of 10 000 mm. 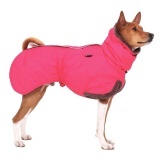 Warm lining from long hair fleece, inner insulating layer is artificial polyester wool.